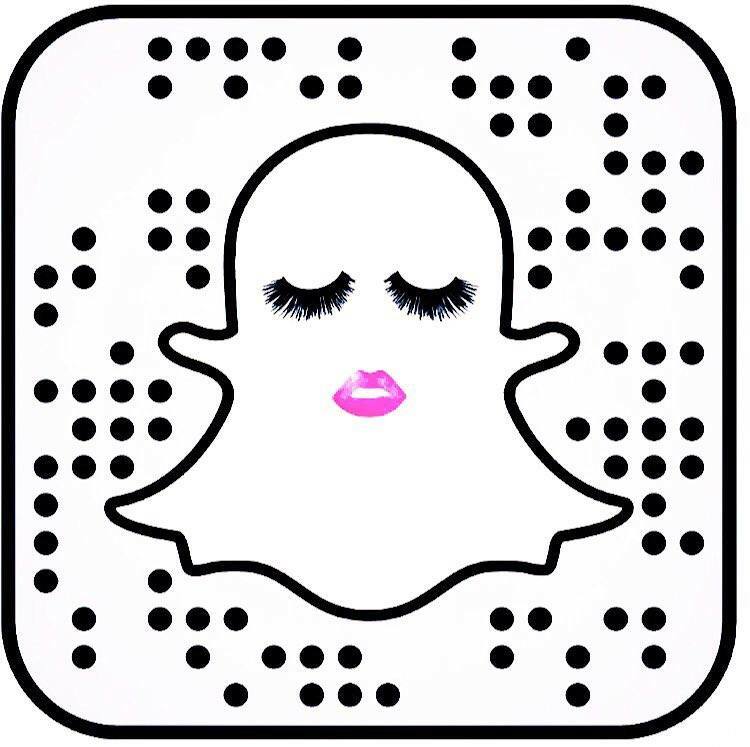 Looking for your new favorite spot in LA? 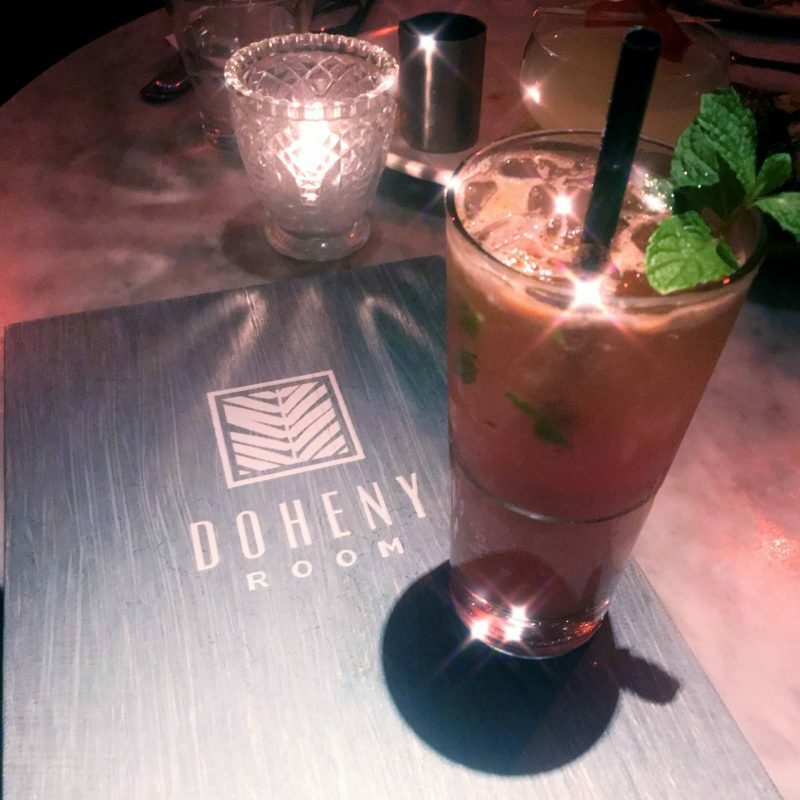 You have found it, the Doheny Room is a place if you just want to pop in for a drink, or get a bite to eat or stay all night and dance the night away. 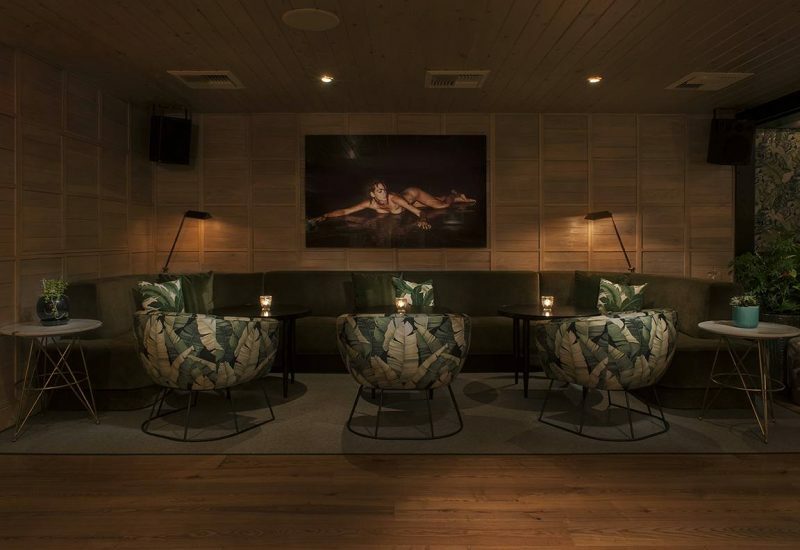 When you walk into the Dohney Room it has an old Hollywood feel mixed with a modern twist on it. 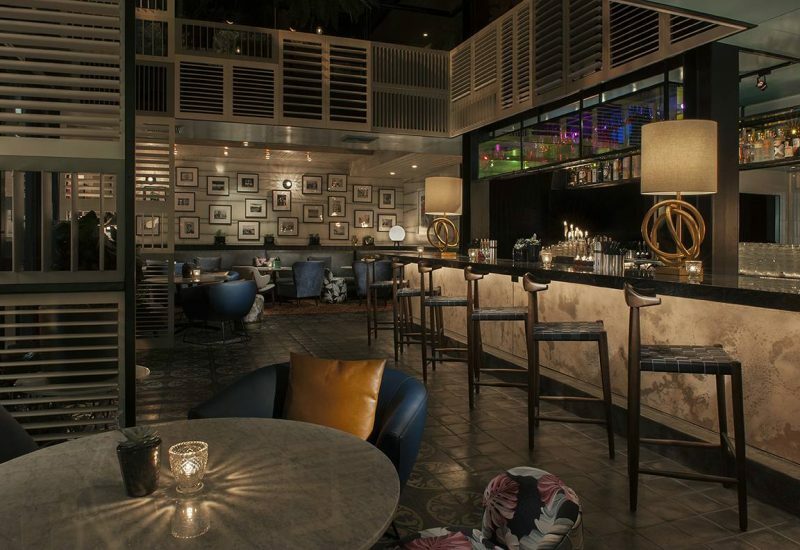 A lot of restaurants have come and gone in this location but Doheny Room is here to stay. The food at the Doheny is so good. Everything we tried was amazing and we are definitely going to go back. I tried three different craft cocktails and all of them were so different and unique that it was really hard to pick a favorite. I love how beautifully decorated the Doheny Room is and it feels so cozy that you can easily pop in for a drink and make this your neighborhood bar. The foods are all shared plates so it’s great for birthdays, group dinners or if you just want to grab a small bite with a friend and drink. There are so many great dishes on the menu that you will want to try several. There are a variety of dishes that even the pickyest eater and your vegan friends can come here. There wasn’t one dish that we tried that we didn’t like. I started the evening out with a craft cocktail, the Margarita Maestro. I loved this margarita, it comes in a cute glass. 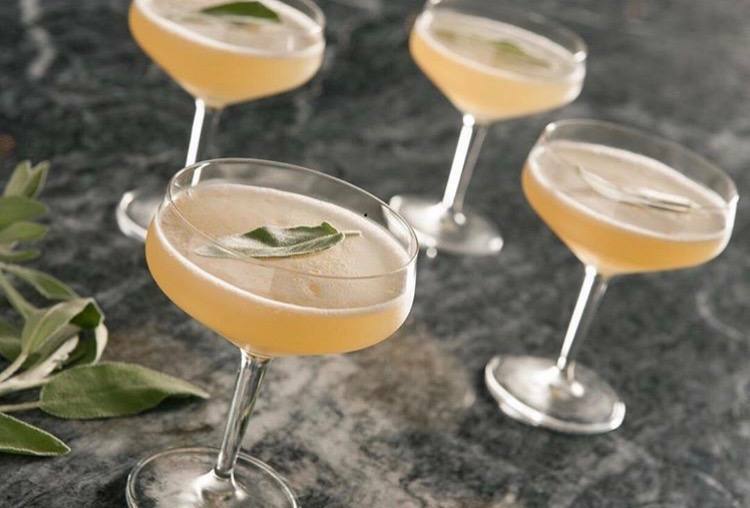 It has a pineapple-sage infusion, it is then finished with a touch of lime and honey. I don’t like sweet drinks and this just has a whisper of sweetness to it. It is the perfect balance and to top it off it has a piece of sage to garish it. This drink also went really well with our first dish. For our first dish we started off with the Tuna Ceviche, it comes covered in avocado with a wasabi vinaigrette and yuzu tobiko. The flavors fall together so perfectly and are really well-balanced out. If you are worried if this dish might be too spicy it isn’t, it just has a hint of wasabi. This ceviche has an asian spin to it and the fish is so fresh that you are going to be craving it and coming back for it over and over again. We followed that up with Mushroom Toast. I was expecting more of a bruschetta when I ordered this but I was pleasantly surprised by this dish. 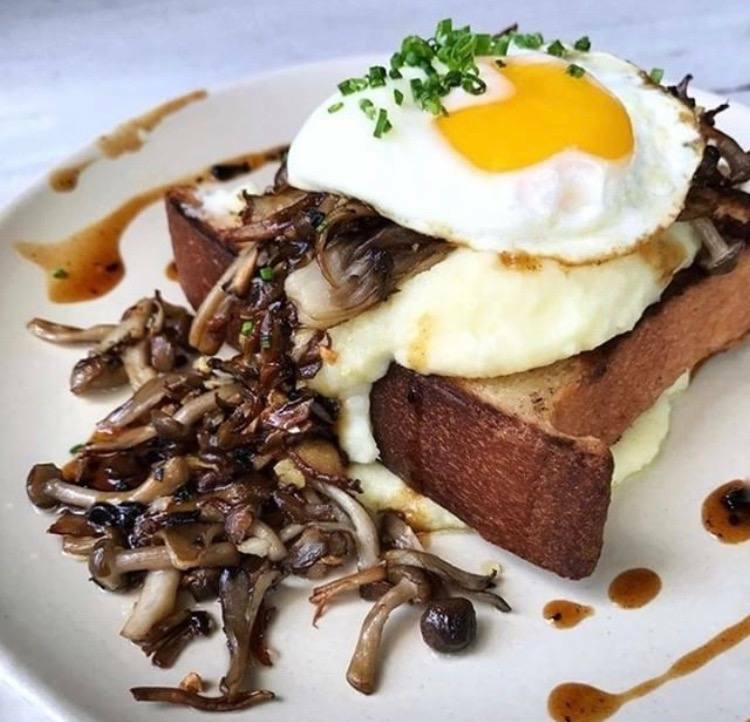 There is an abundance of mushrooms on a piece of thick toast. The toast is topped with potato puree, truffle sauce and an egg to top it off. This is dish is like a cozy blanket on a plate, it’s comfort food. I definitely will go back to try their shrimp on toast. The next cocktail I tried is the Tampico Sun, if you want something that is light and refreshing order this. It is made with vodka, fresh watermelon juice, lemon, galliano bitter and mint. Even on a cool fall day it took me back to warm summer nights. This drink was so amazing that it’s one of my favorite craft cocktails in the city. The next dish we tried is the vegan sushi, I was a little hesitant to try this because vegan sushi didn’t sound that amazing to me. Our server told us it was one of her favorite dishes so of course we had to try it. I was very pleasantly surprised how good this was. 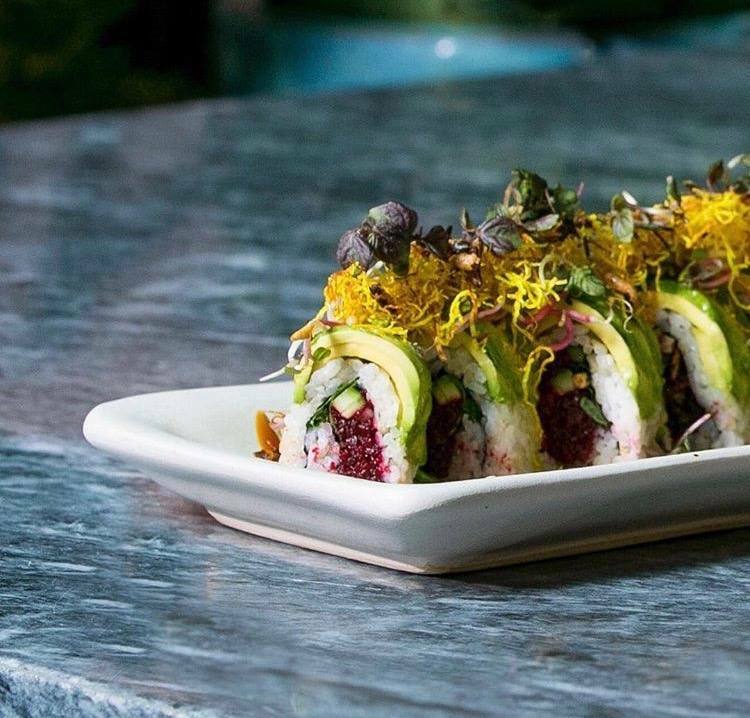 It is the Avocado and Beet Sushi, it is made with avocado, beets, persian cucumbers, shiso leaf, soy reduction and topped with crispy wild rice. You need to go try this now. 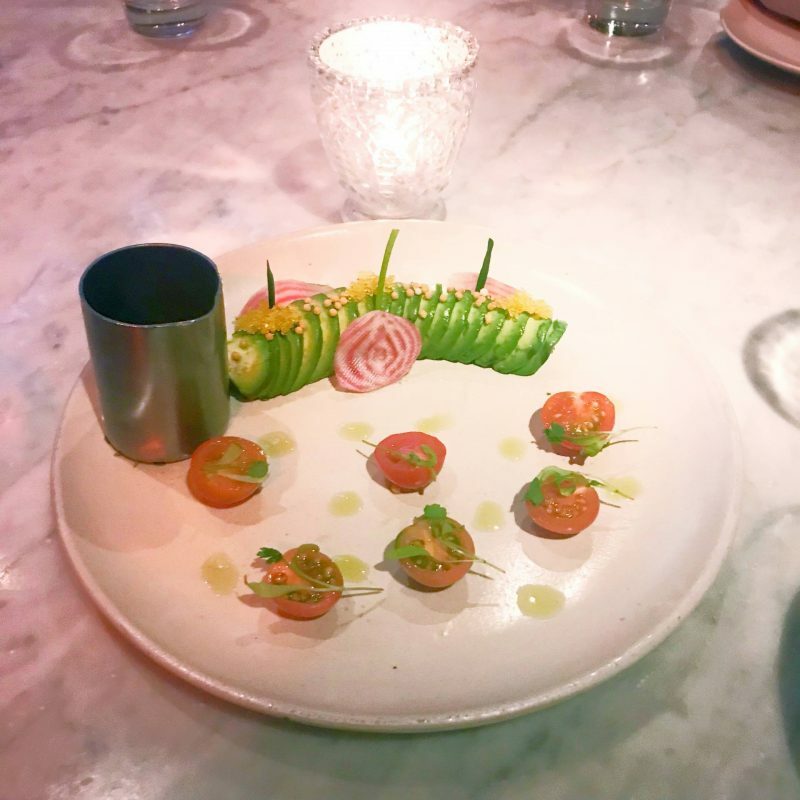 I didn’t get a photo of our next dish which was the Honey Bass Lettuce Cups, it comes with three bite sized pieces so if you are a larger party order more. The bass is marinated in sambal miso, topped with crispy filo and served in lettuce. The fish is so soft and flaky that you will love it. It’s a great sharing plate. Another cocktail we tried is the Cam Jam, it is made with tequila, orange juice, lime and red pepper. it is topped with mint and orange bitters. If you love tequila drinks or non sweet drinks this is for you. I loved the combination of flavors and the crispness of the red pepper in it. I am obsessed with these Brussels Sprouts. 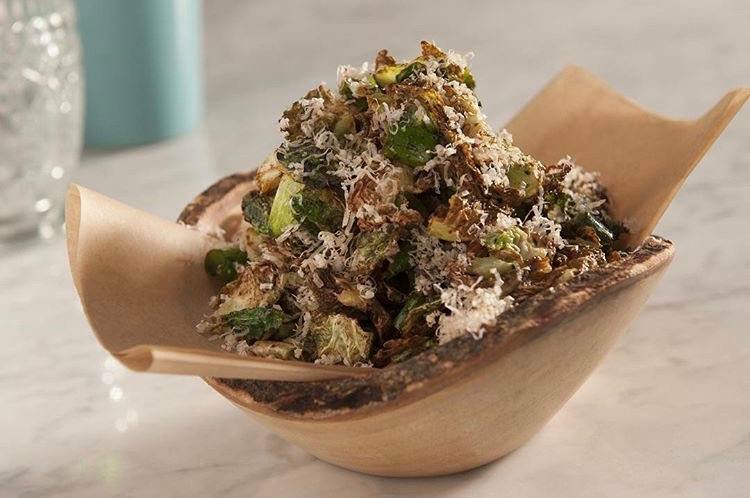 I order crispy brussels sprouts every where I go and by far these are my favorite that I have tried. They are made with a balsamic reduction, almonds, a hint of sriracha sauce and topped with a generous amount of bonito flakes. They are so light and crispy that you get addicted to eating them. I couldn’t stop. This is a must to order when you visit the Doheny Room. For our last savory dish we finished with the Steak & Bearnaise. This is a great dish to add to your meal if you want to add something that is more of a main course. This is a great steak to share because it comes sliced, it is a filet mignon, with bordelaise sauce. It is served with fries. It was cooked perfectly and if you wanted to not share plates you could just order this dish by it’s self and have it as a meal. To finish our meal we ordered the Chocolate Dome, I wish I had a photo of this. I was too busy snapchatting it and before I knew it I realized I forgot to take a picture of it. The dome is a must. It comes to the table and is flambe table side. The round chocolate dome lights up and melts right in front of you. It is filled with meringue, chocolate cremeux, and chocolate crumble. It is a chocolate lovers dream. It’s also such a show stopper of desserts. Head over to Doheny Room, you will be happy that you did. 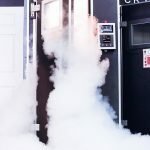 The best thing besides the ambiance, food and drink, is that it is really well priced that you really will be able to make this your favorite place to go. It won’t have to be just an occasion restaurant. This can be an everyday haunt.